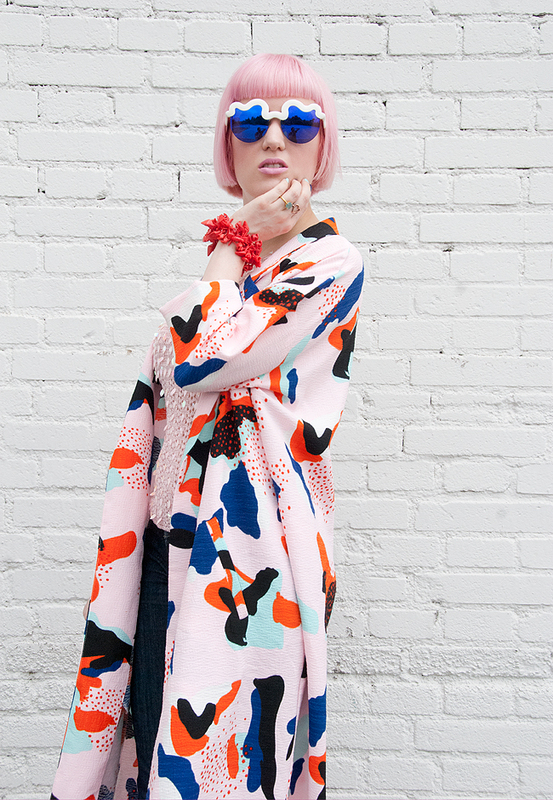 While most bloggers already show pieces that scream autumn, you won't find this happening here. Shall they keep their pumpkins and withered leaves, I rather welcome you to my tropical paradise. Pineapples and rainbows are without any question better than muted autumn colours! If I just think about brown, I get goosebumps all over… It's bad enough that there won't be only sunny days for the rest of the year. So don't make it worse, just stay dressed like there is a wild summer party going on 365 days a year! I don't know why, but it seems like the weeks are getting shorter and shorter, and the only thing that gets longer is the to-do list on my desk. This summer past so fast, I ask myself if it was just a lovely dream. The feeling that I can't do a small percent of all the things I have in mind – and sometimes not even the most important things as extensive as I'd wish to – frightens me. I imagine many of you must feel the same, so what shall we do, panic? While I don't have a miraculous solution that makes your days longer, I know that complaining will even consume more of the precious time. So there is no point in whining, but using whatever time we can find, dress up, laugh and be crazy! Happy pineapple day, happy Friday! Kiss Kiss: The cutest bag on the planet is mine. Can't stop being excited: But why should I? A Cocktail of Patterns: Just mix it baby! The wilder, the better. 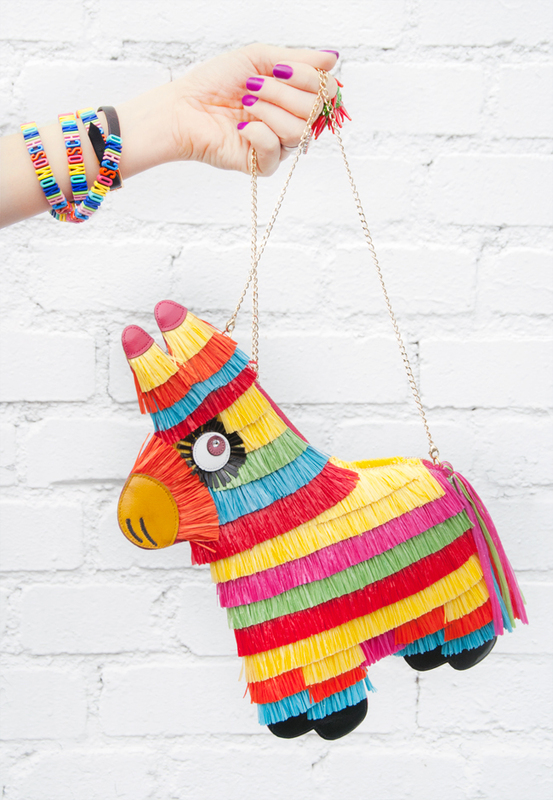 Piñata Love: Oh Charlotte Olympia, this is the cutest little creature I've ever seen! 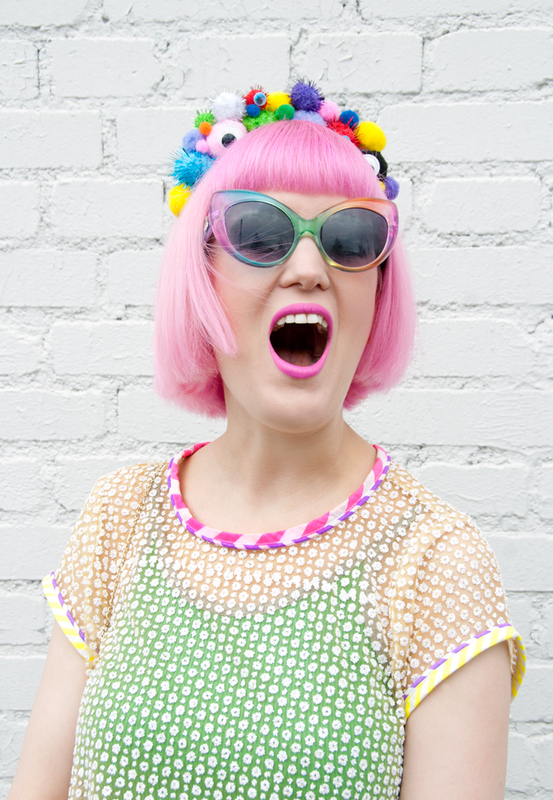 Pompom Girl: No need for a crown if you can wear rainbow pompoms! 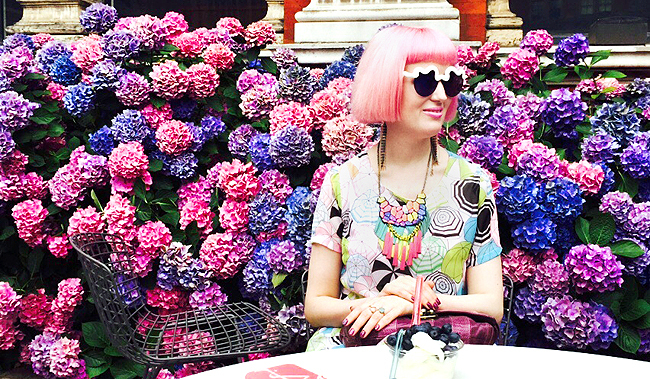 A Lot of Arm Candy: Watched the movie about Iris Apfel and was inspired to wear a lot of jewellery. Flying Piñata: Aw, it's eternal love! 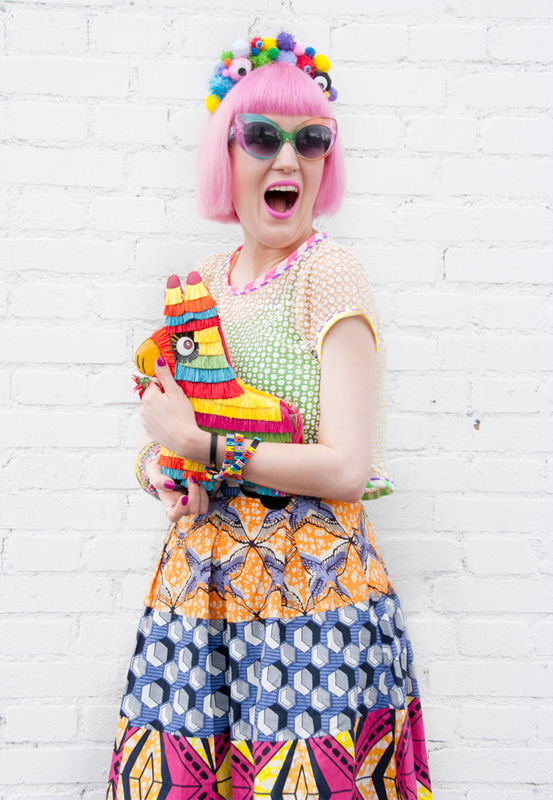 A Happy Quirky Girl: Prints, pompoms, glitter, rainbow colours and a piñata, I have it all! Rainbow Letters: Moschino baby, what else? Can't Get My Hands Off You: Piñata, I'll never let you go, I promise. 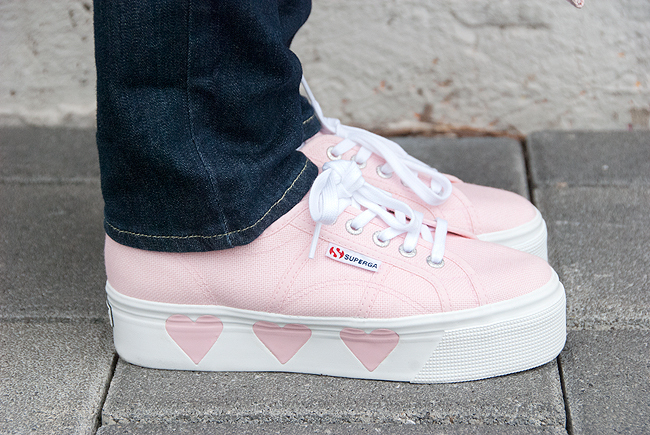 Queen of Hearts: Handmade shoes from Sara Melissa. A Little Bit of Skin: Crop tops rule my wardrobe. 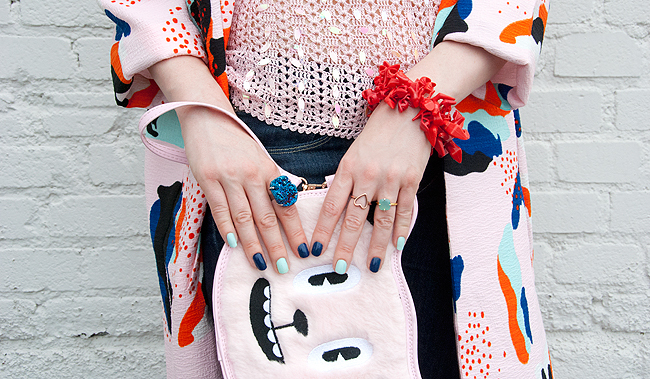 Colour Addict: Why just wear one colour if you can have them all. Red and Pink: Love the idea of two different shoes. Somebody said you should be yourself unless you can be a piñata, then you should always be a piñata. I spent hours and hours trying to grow a mane, but nothing happened. 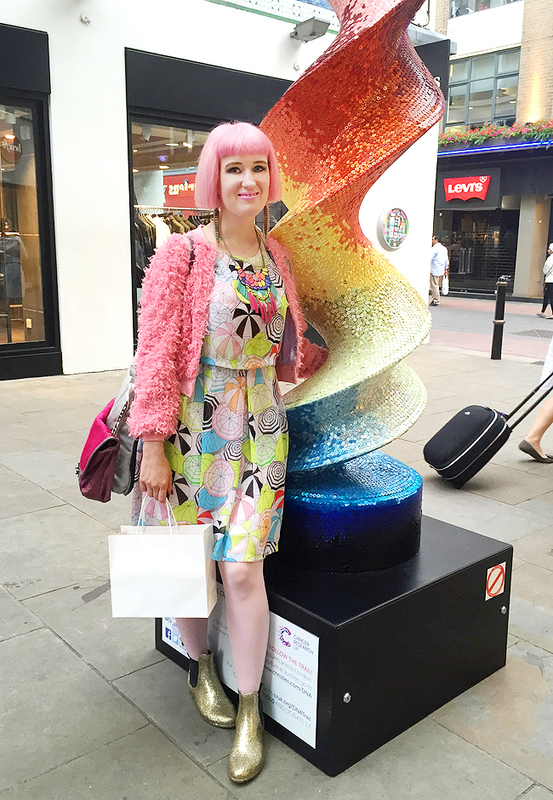 Then I decided just to be myself: A rainbow girl. And look what happened: I am so proud of this look because it's more me than anything else I ever showed you. I look at the pictures and see the woman I'd like to be, what a feeling! I am so into mixing prints and this playful skirt from Shanghai-based label Celia B is just everything I've been waiting for. It's like a dream to be wearing something from this amazing designer after admiring her things on pictures for a long time. Those clothes make me feel bold. They seem to tell me that it's ok to dress as quirky as I want and that there is no reason to adapt to the people on the street who most look all the same to me. This look is just a firework of dream pieces. 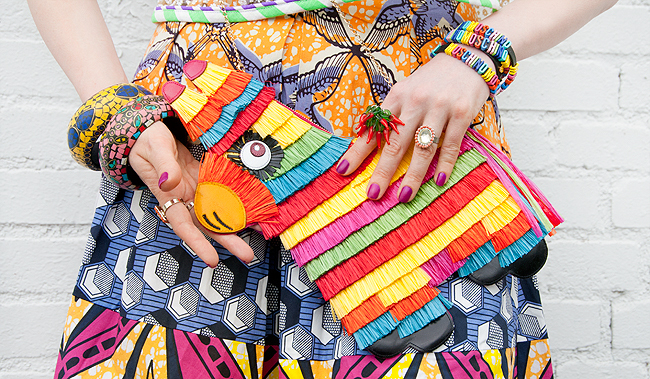 Just look at my rainbow piñata bag! I never dreamed of owning this Charlotte Olympia bag, but thanks to my crazy boyfriend it's mine. I love its happy face and sometimes if I don't feel very good, I just open the pretty box it came with. The delightful piñata smile cheers me up even more than chocolate. What do you think about this colourful look? Seriously: Heaven can't look better than God's Own Junkyard! 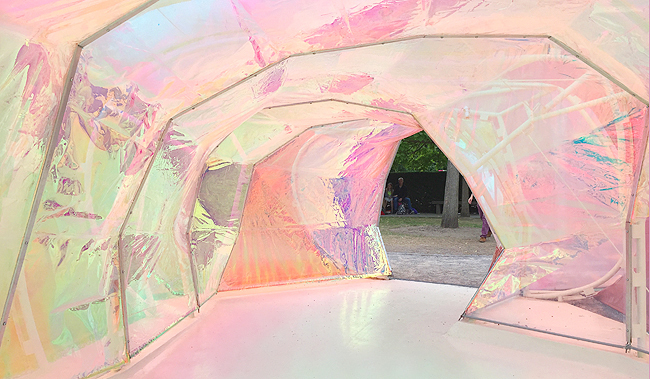 My kind of a cave to hide: The iridescent pavilion at the Serpentine Gallery designed by Selgascano. 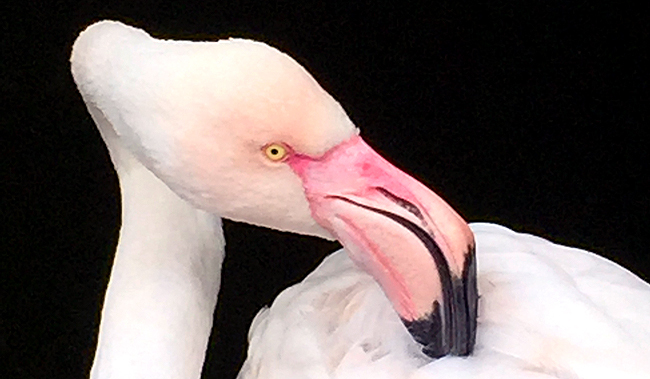 I turned into a wildlife-photographer at The Roof Gardens, London's only rooftop with living flamingos. 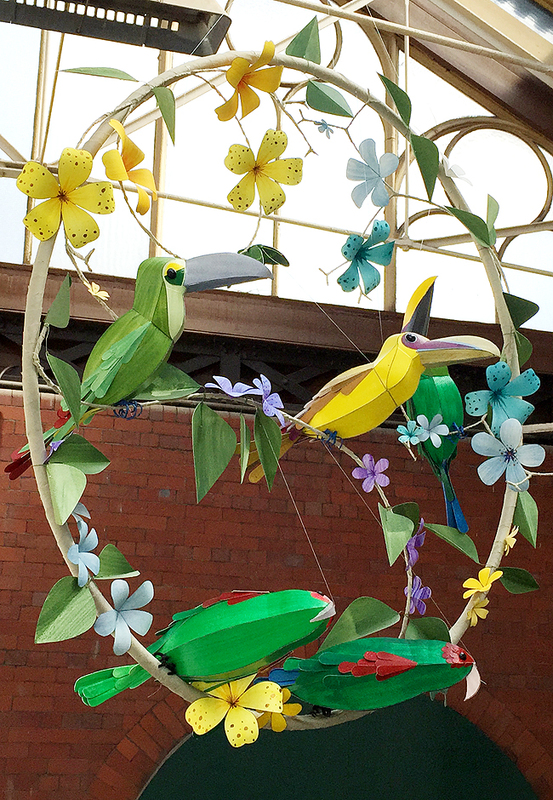 From the real birds to the paper birds: Lovely craft from Kaper at the Manchester Art and Design Center. 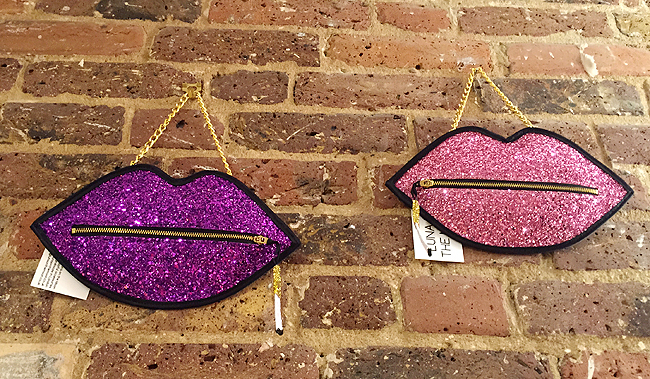 Glittery dream bags from Luna on the Moon at the Showrooms Shoreditch. Loved those flowers at the V&A, where I went to see an exhibition about shoes. 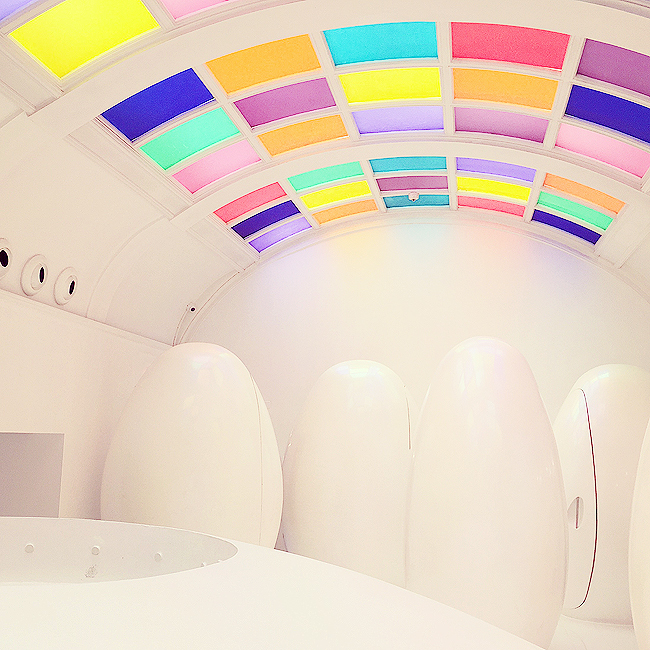 Finally we made it to the best loos in town at Sketch London. Loved those heads in Pearls & Swine's house. 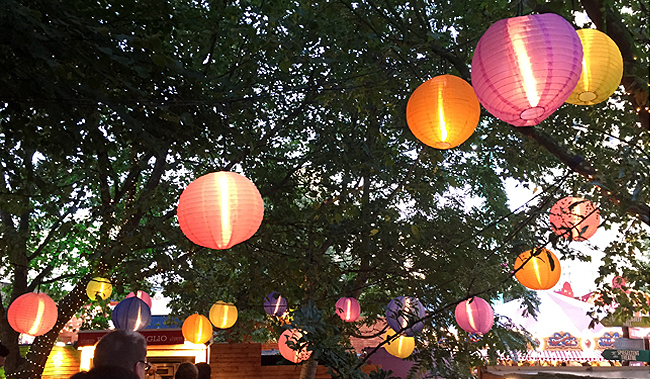 Fairylights at London Wonderground. We went to see the Double R club, because I love Benjamin Louche. Aren't we a cute couple, this artwork for Ted Baker and me? Are you Getting Enough? I could show you a hundred pictures of the God's Own Junkyard. The ones who are not following me on Instagram might have missed: I've been in the UK for two weeks and had the most amazing time. When I look back, I see 13 colourful days full of excitement, and I'm happy to share a few glimpses with you. I am a very, very lucky girl for knowing so many amazing and inspiring people in the UK and for having a boyfriend who understands that I lost part of my heart to England. Although I left London five years ago, it's still the home of my soul, and I dream of returning there permanently. During the last few weeks, we planned to see a few corners of the UK we neglected yet, and this is why we spent a week in the Yorkshire and Manchester. We stayed at the home of one of my favourite girls in the universe, Bink from Pearls & Swine. She and her boyfriend were the best guides you could imagine, and I felt like royalty being driven around Manchester, Leeds and York. 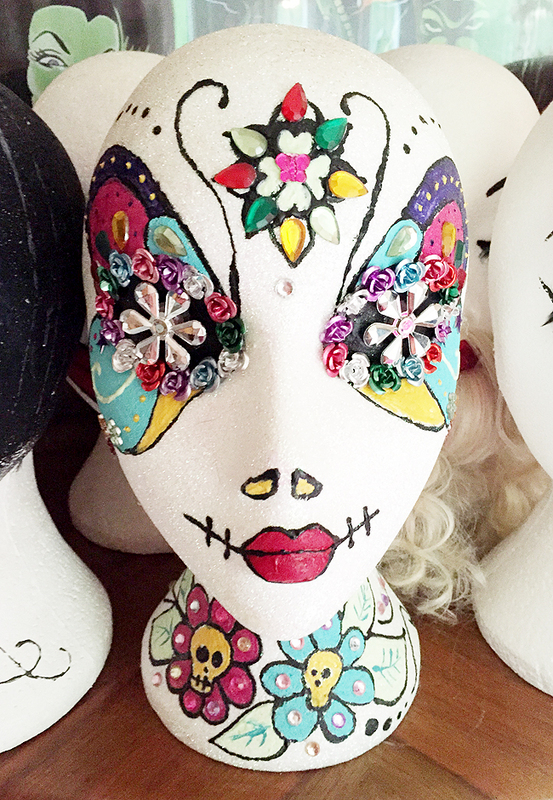 They warmly welcomed us at their quirky home full of cats, hats and curious objects. Usually, Bink and me only chat on Facebook, and I must say I love her even more after having such a great time, cocktails and funny hours with her. I was impressed by medieval York (even if I had to walk the city walls in pouring rain), the independent shops in Manchester and the taxidermy collection of the Manchester Museum. After enjoying the British countryside, we went to London by train and continued having fun. 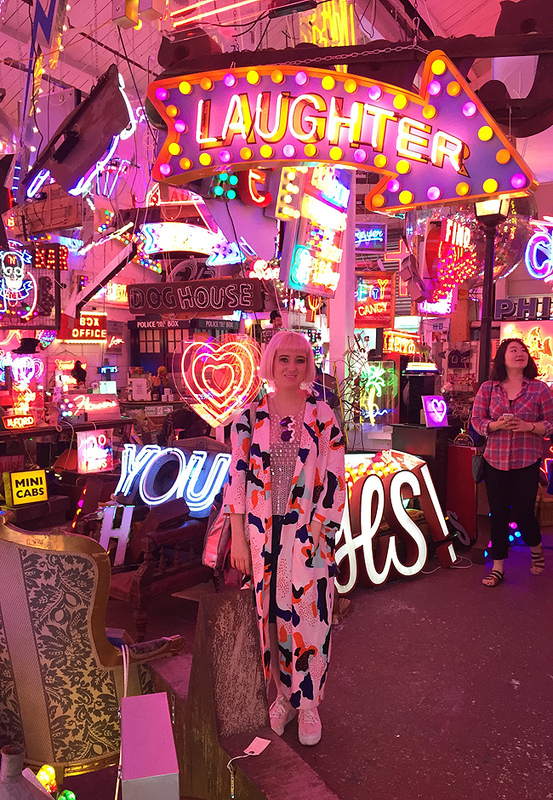 I went to the playground with my nearly two year old godchild Juna for the very first time, was closer than ever to my beloved flamingos at the Rooftop Gardens and found neon heaven at God's Own Junkyard. Just to name a very few highlights. We survived another tube strike unimpressed, just staying in my beloved East London and using the Thursday for a treasure hunt at the Spitalfields Market and the opening party of the Showrooms Shoreditch. Besides meeting dear old friends, I encountered lovely new people, and I don't have to be a fortune teller to predict future fun with them. During these two weeks we visited at least one exhibition a day, walked around between 13 and 18 km and had curry for at least five times. I experienced a serious case of "jewellery frenzy" after watching the documentary about Iris Apfel and almost despaired by the thought of how to transport all my new treasures (and a whole big Tesco bag of tea). 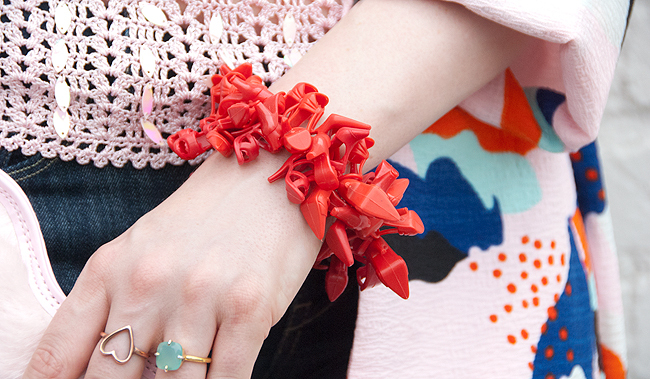 Be prepared for an accessory blast in my next outfit posts! It's very hard to be back, but I carry all the memories with me. England, I'll come back, just a few weeks to go! 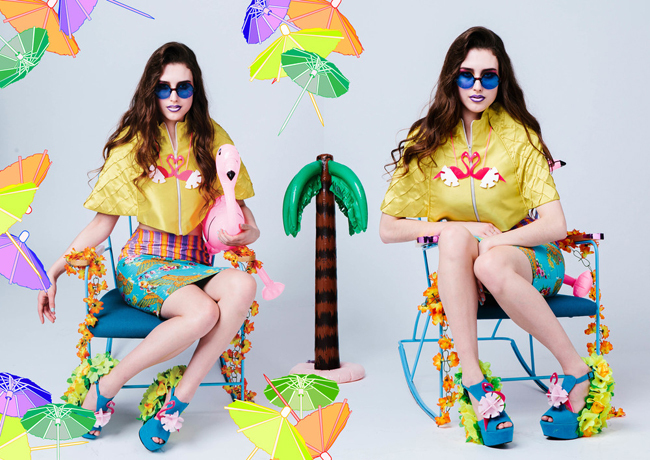 Ciara Monahan designs fashion that can't be overseen and turn every day into a beach party. 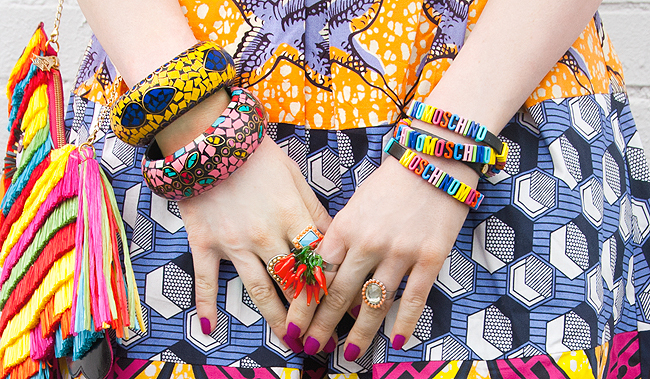 Fearless, she plays with colours, tropical elements and bold shapes. 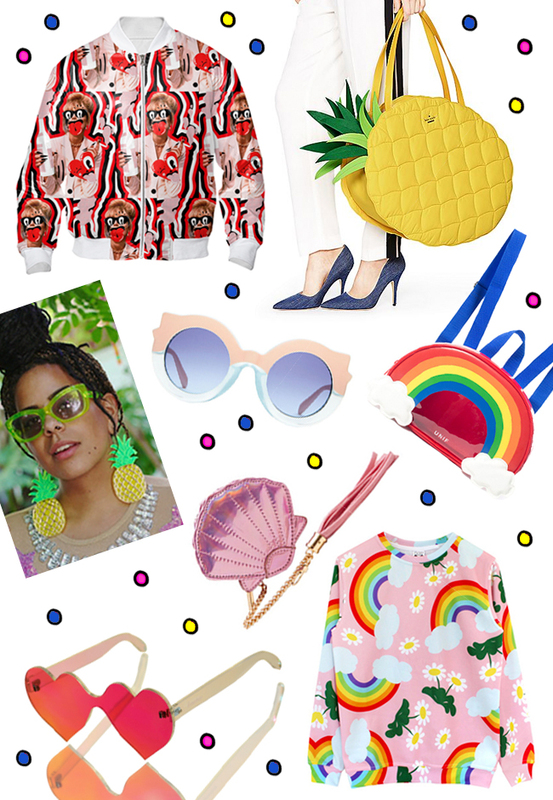 Ciara's fashion is a tropical cocktail of creativity and spreads a lot of fun. 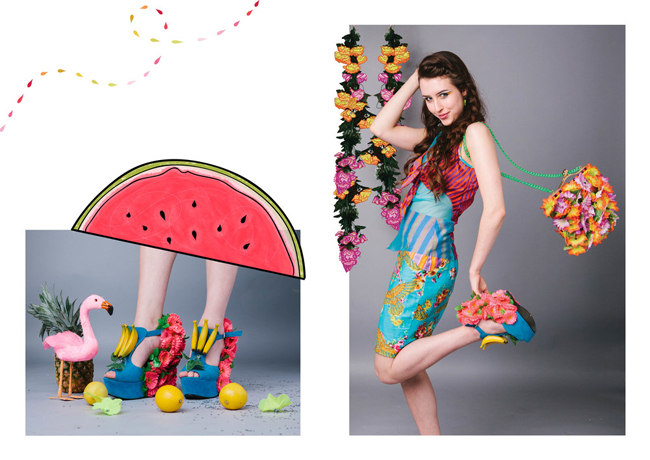 Her designs are heavily influenced by pattern and quirky silhouette and often come with laser cut 3D perspex embellishments. 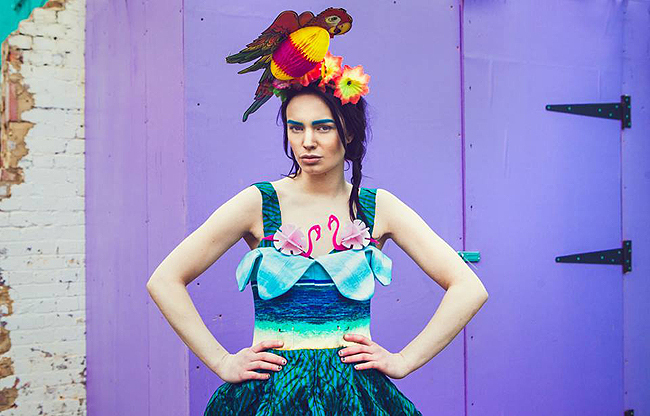 Ciara Monahan is a London-based fashion and accessory designer who graduated form Middlesex University in 2013. 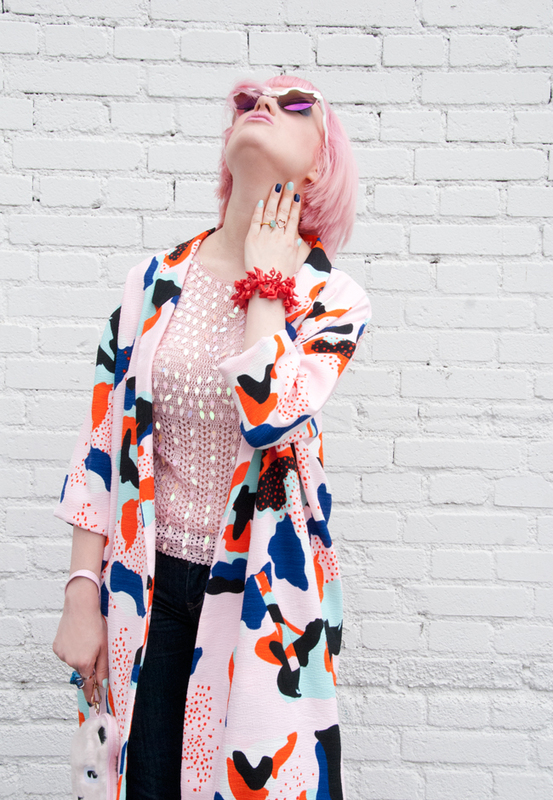 When she started her career as a fashion designer, she did internships with a few of the very best designers such as Mary Katrantzou, Tatty Devine and Julien Macdonald. 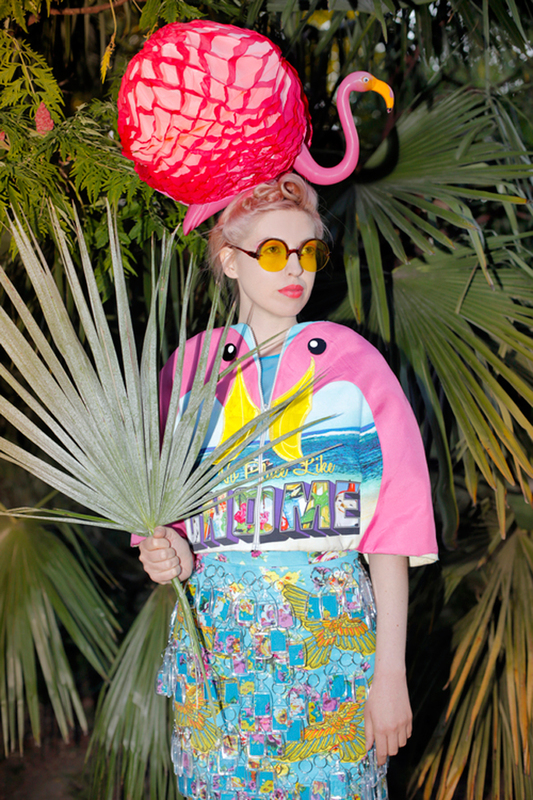 Her collection was showcased at the Berlin Alternative Fashion week, and her designs are the best friends for festivals. Her last collection is called "There is no place like gnome" and it's inspired by the story of the little gnome in the movie Amelie. He travels around the world, collects funny souvenirs. In the end, he discovers Ciara's tropical paradise and parties with flamingos there. 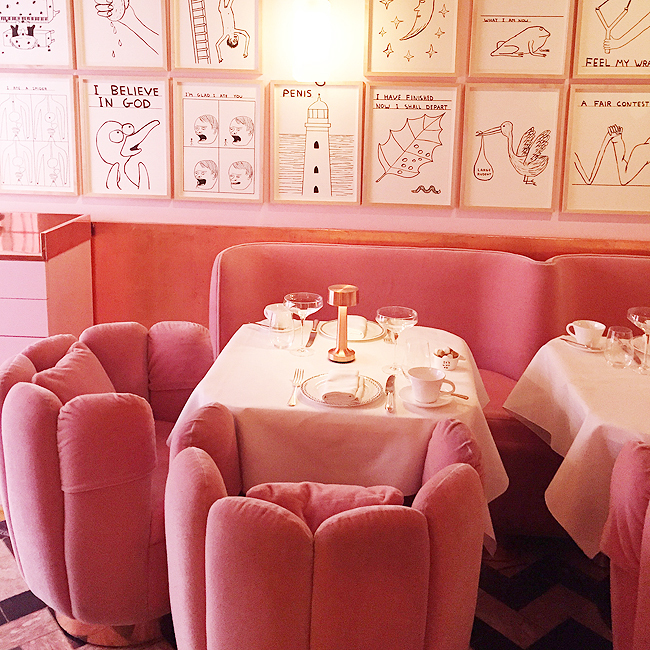 This is the sweetest story a fashion collection ever came with, isn't it? This girl will climb very, very far on the rainbow ladder for sure! Ciara, your fashion is extraordinary colourful, quirky and full of fruits. 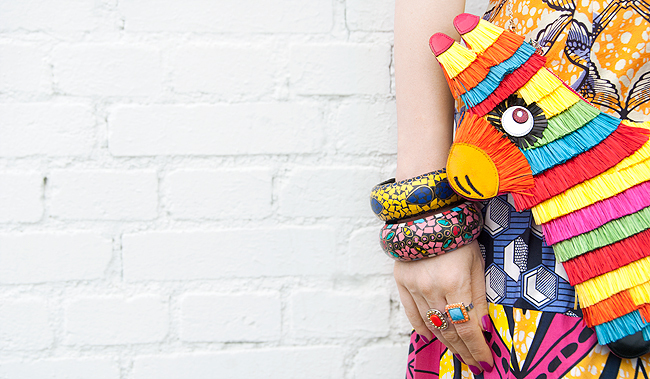 Where do you find your inspiration for your quirky pieces? Oh god, everywhere! I’ve been lucky enough to live in London for the past eight years, which has only provided me with a wealth of weird and wonderful situations and beings that inspire a variety of ideas. I could probably write a book on all the mad things that happen here. I’m like a magpie when it comes to really weird kitsch objects though, these things are forever stopping me and holding my attention in the street, in other people’s houses or parties and also any exhibitions I get to have a good look around. Although saying all this, my last collection was inspired by a trip I took to Bali. 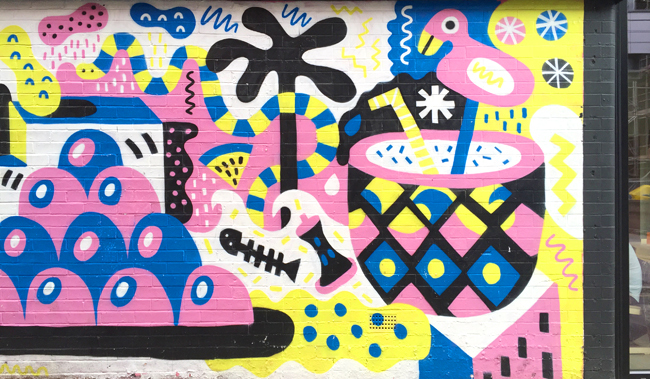 That place was just the epitome of a colour-filled paradise, and that influenced my work in a big way. Do you dream of fruits from time to time? They do tend to pop up in my life a lot. I went to Glastonbury Festival and, to change things up from the usual pineapple way of life, I decided to wear a lot of banana themed items for the week…and I kept finding them EVERYWHERE. It was like I was being stalked by them. Inflatable bananas, people dressed as bananas, banana paintings, just couldn’t escape them! Oh, also it’s not particularly a fruit but I’m getting increasingly drawn to aubergines! That deep purple colour is just so enticing, I want to dive into it (plus I just love the sound of the word, it’s really pleasing to say). Some people would say that your pieces are not wearable, I think it's what a girl dreams of wearing everyday. What do you think, where do you see a pretty girl going with one of your wild and fruity looks? I saw a video of you dancing with the models on the catwalk and read that you love festivals. What music fits your fashion best in your opinion? It’s hard to pin down a particular genre of music to my designs in general as I find different songs go with different collections, plus I listen to a larrrge range of stuff. I guess in the end it’s a song that just makes people want to get up, dance and feel like they’re part of the collection coming down on the catwalk. Anything with a really awesome beat does the job nicely! If there would be a book about your life as a fashion designer, what would be the title of it? It would be a ridiculous book. Let's have a look into the future: What secret plans you have for your label and can we expect more quirkiness on the catwalk from you? I’m currently working on the next collection which, in all honesty, is going to be as much of a surprise to myself as it is to everyone else! I have original concepts and the collections take so many twists and turns throughout the design process that I always end up creating something I never even saw coming, which is just the best thing about the whole journey really! 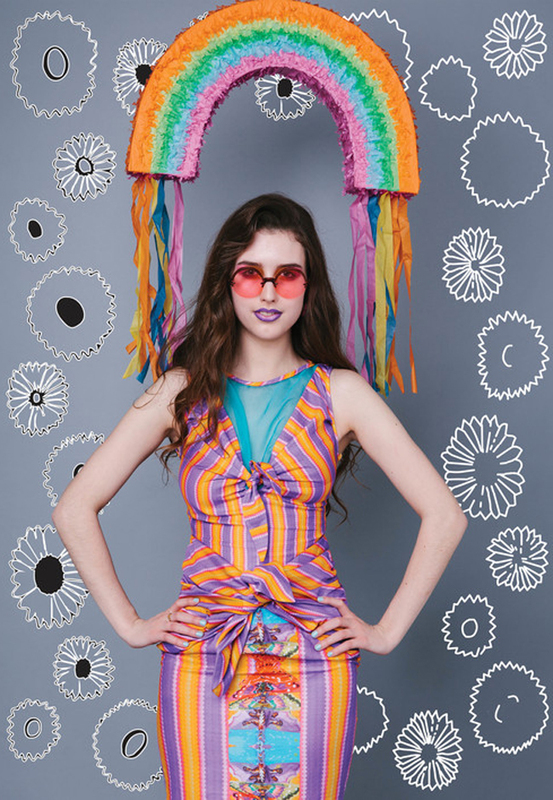 I can tell you that there will be a range of more ‘wearable’ clothes that can be worn to festivals and of course on many a-colourful supermarket trip, but that’s not to say they’re gonna loose out on any colourful quirkiness! I’m going all out! Thank you very much for the interview Ciara and keep on living your pineapple way of life! Visit Ciara Monahan's page here and don't forget to follow her on Facebook. Ha, I'll never ever look standard! Denim is for Ghosts? I show you how to wear it without turning invisible. Even my pink bear is laughing about the idea of me turning into an invisible fashion ghost. What is better than Barbie? – A whole bracelet of Barbie shoes. Now you’re jealous doll, aren’t you? The duster, my current piece of obsession. No other piece of clothing goes with the breeze so well. Bear and Me: A couple ready to make the streets our catwalk. There comes a wind of freedom with a look like this. Like a flag in the wind, I stand for the freedom to wear whatever I like. Where dusters used to be worn to protect clothes from dusty streets, mine is the key piece of the look. The probably most casual shoes I own and I couldn't love them more. While it was seen as daggy for a long time, everybody is styling double denim looks at the moment. Everybody? No, not me. I could count the pieces of denim I own on my hands, and there is just a single pair of trousers among them – this one. People tell me denim goes with everything and is THE basic piece of their wardrobe. Since I avoid basics, this is what makes denim even less attractive. Is denim the uniform of a boring society everybody is wearing? I don’t want to join this club and turn into another faceless denim ghost girl. I simply refuse to give a piece of cloth the power to steal my identity. This look is a challenge to myself. 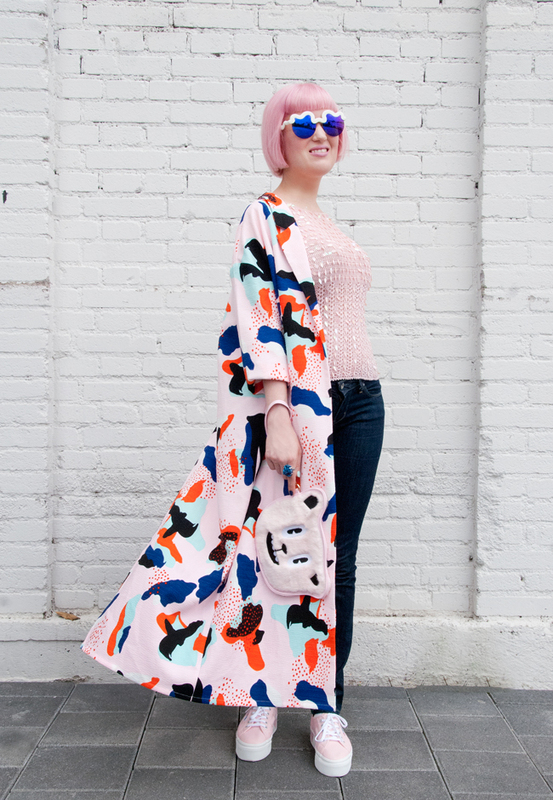 It’s about how to stay true to yourself while wearing something untypical. I am no plain and no boring looking girl, but up for a cool and urban look. While wearing everybody uniform, I stay true to my quirky soul. Denim, maybe you and I might find peace with each other if you can live with me combining you with crazy things. How do you like this look and what is your opinion about denim? 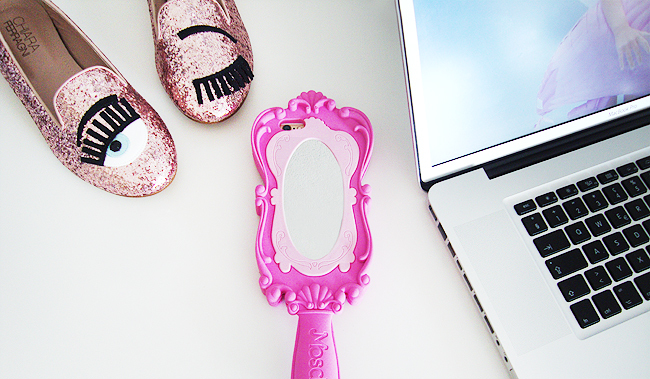 Barbie comb iPhone sleeve: Moschino. Shoes Chiara Ferragni (Yes, I do exhibit shoes on my desk). 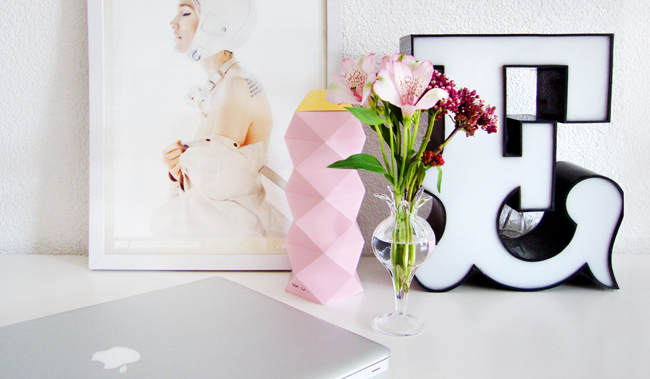 Because I spend a lot of my free time at my desk, I love to decorate it with fresh flowers. My desk is the most used place in my flat – right after the bed. Pink Paper Vase: Future Days. Framed Picture: Foto Floor. Letter: Vintage. Mouse: Logitech. Pens: Muji. 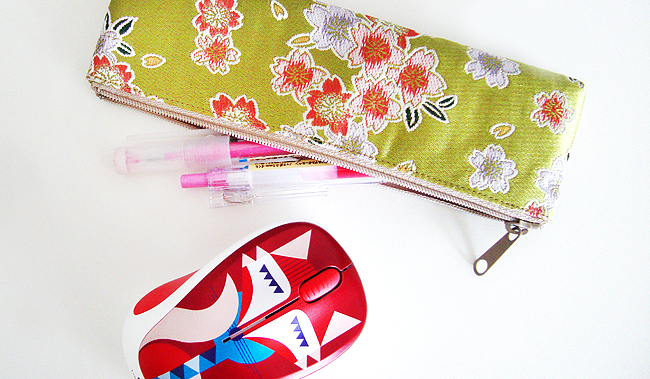 Pencil Case: Gift from Japan. People tell me that the life of a blogger must be awesome, and I must get loads of freebies for doing barely anything. Some imagine all those pictures are taken just on the way from shopping to the next party. They couldn't be wronger and I hope this post is an eye-opener. I do get freebies, but most certainly not as many as you imagine. If somebody wants to blog to get things for free, it's just the wrong attitude. Compared to the hours of work it's not much. What can't be paid is the joy and the exciting contact with designers and cool people from all over the world. I am proud I built all this on my own from scratch. It might be just another blog and it most certainly won't save the world. But to me it is half my life. I don't live from blogging (like most bloggers), but have a 100% job as head of design for a branding company. Very often I stay there far more than my mandatory 40 hours per week. 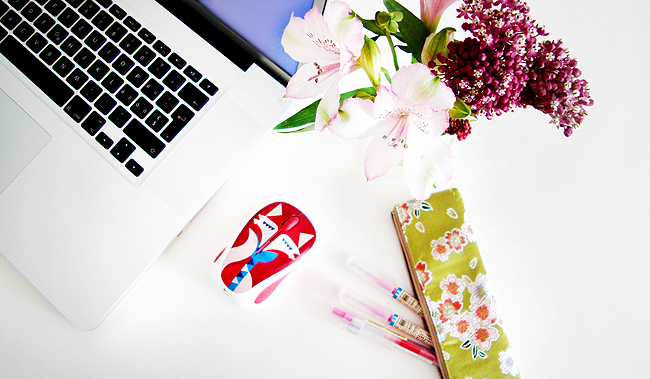 When I come home, I work on my blog nearly every day, as well at least one full day per weekend. When I go on holidays, the weeks before and afterwards are usually especially stressful, because I try to prepare posts in advance. My boyfriend is the photographer of my outfit posts and proof-reads my texts. A blog is no one-women-show. Sometimes we get into a little fight during a shooting – especially when I realise that I don't look like the quirky queen I feel. Most of the time I am just grateful and aware that without having somebody at my side to share my passion, all this wouldn't be possible. After the shooting comes the most time-consuming part: Selecting and editing the pictures and create my illustrations. This is what I usually do when my friends go to parties or relax in the sun. A blog is like a little business and sometimes I could either use eight arms like an octopus or an intern to cope with everything. There is always a lot going on behind the scenes: Answering comments and emails, negotiating with companies and designers, organising four social media platforms and planning posts. This post is not about complaining, but giving you insight. I love what I do more than anything else and I couldn't imagine a better use of my time. I hope you can feel the love I put in my content and pictures. Your lovely comments very often make my day and I am the most grateful girl in the world for being able to live my crazy fashion life.